It’s about time for a sermon on consistency in writing. Partly because writers and bloggers need to hear it. But mostly because I need to hear it. Consistency, it’s that character trait on which our reputations hinge. I lied in one of my newsletters sent earlier this year. I told readers I’d planned to update my blog weekly. But I so far this spring, I haven’t. Inherent in sharing that goal are two lessons. Below are three additional lessons to consider about consistency. Find someone to hold you accountable. Develop plans you can stick to and tell people about them. Tell your coworkers. Tell your readers. Tell your therapist. Tell people who will ask you about your plans. Motivate yourself to stick to your goals. For me, public accountability is very motivating. I hate failing in front of people. Telling readers about my goals is a great way to make sure I stick as closely to them as possible. I also find accomplishment to be inherently rewarding. I have a classic type-A personality. If you’re wired differently, find something that motivates you to write as much and as often as you can. Write often. Duh. It should go without saying that the more you write, the better you will be at it. One of the adages in the field is to write every day. And if not daily, write multiple times per week or weekly. I’m currently juggling several different forms of writing, including journalism and marketing. Both are structured differently to get different outcomes, but I have to practice both often to be good at them–and to get better. Pick a schedule that works for you and stick to it. South Carolina lawmakers usually meet three times per week during the first half of the year, so most of the work for The Carolina Ledger is published Tuesday through Thursday, in line with the legislative session, and with some exceptions. Conversely, most of the posts on this blog are published during the beginning or the end of the week. The publishing schedule for both sites gives me a structure I can stick to with room to grow. Prepare and plan. I have a lot of notebooks. Boxes and boxes of notebooks full of ideas and interview notes. I keep a notebook nearby while writing to jot ideas in. Most of my ideas come to me as I’m writing. I revisit the good ones and use them to develop new content. If you’re responsible for constantly drumming up content ideas, develop tools to help you be prepared to write during dry spells. You will experience writer’s block. You will at times be unable to come up with fresh ideas. Prepare yourself for these times by planning and keeping a well of ideas into which you can dip your pen. Acknowledge your limits. The trouble with doing the same thing over and over is that you can face burnout. Writing is difficult work. It’s not a job you can mentally check out of and just get through. You have to be engaged. If you aren’t, your work will reflect it. Your work may get interrupted by life. 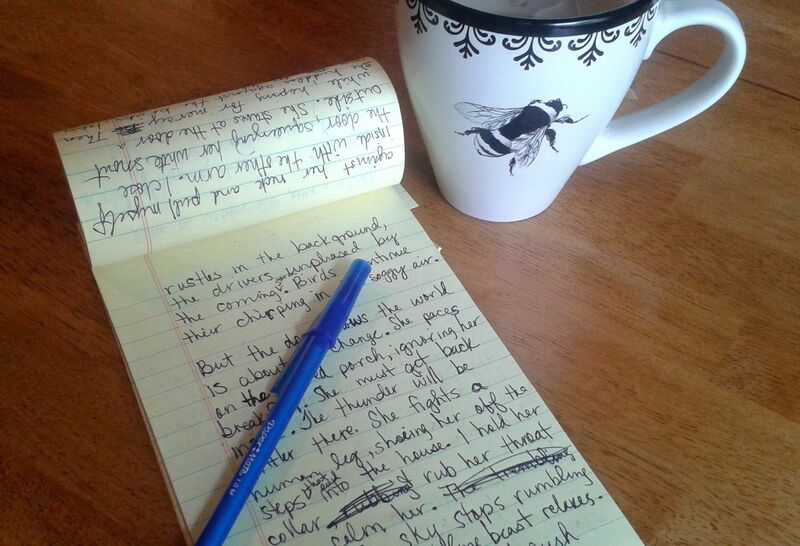 If you need to break away from writing, do it. But come back to a schedule you can keep, and do it as quickly as possible. I dealt with this a couple of weeks ago after going through minor dental surgery. I had to take a week off. Doing so enabled me to get back to work the following week well rested.